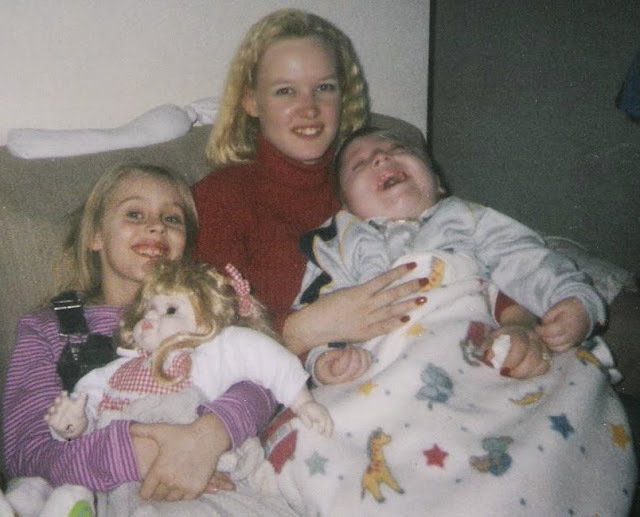 Learning Disability and the sad loss of her young son, Johnny. First ever warrior mum story. One of the benefits of social media is meeting the parents of special needs children and adults that I have grown to know and truly admire. Our solitary journeys have taken many different roads yet we've all connected on sites like Facebook, Twitter and various other forums. The support we give each other is a lifeline - an opportunity not only to share the joys our sons and daughters bring into our lives but also the chance to rant about the frequent injustices we have to meet head on. 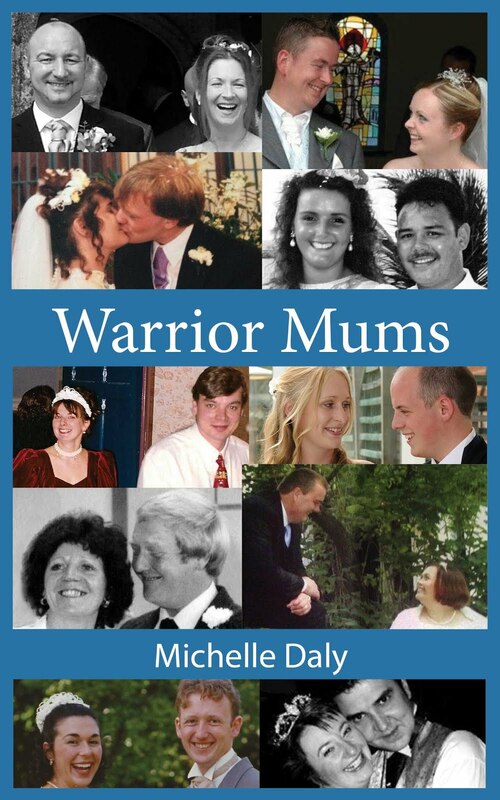 I am honoured to have 'met' so many fantastic Warrior Mums from around the world, so honoured that I decided to feature some of their stories in a Monday blog series. I'm sure they will inspire you, just like they have me, these brave, warrior mums. Here is our first warror mum Jenn’s Story. If you live in Terre Haute, Indiana, you may pass her by in the street. Maybe you walk past the homeless shelter where she lives as she leaves for work and returns at night. You might think she’s a drug addict or an alcoholic – she is neither. Until you’ve walked a mile in her shoes try not to judge her because one day your luck might change like hers did. One day your life might spiral out of control the way hers did. And one day you too could end up living in a homeless shelter...just like she did. 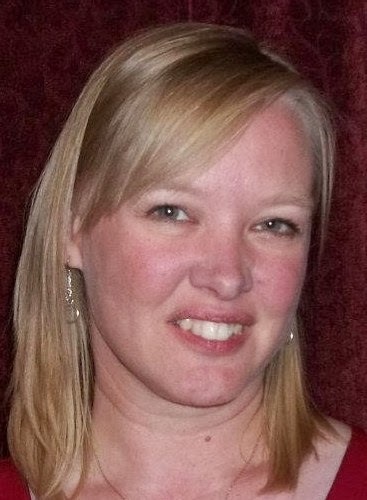 I was born Jennifer Eyre in 1973, second daughter in what would be three daughter’s and one son. I had a fairly ordinary childhood, I suppose. I loved to play with dolls and my Grandpa would tell everyone I was going to be a great mommy someday. My parents divorced when I was young and my birth mother left me and my siblings with her parents, who adopted us. So my wonderful Grandpa became my Dad... and I was blessed by that. 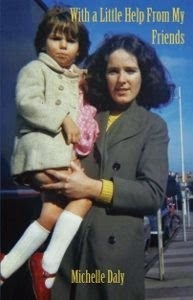 I was never close to my birth mother or my adopted mother. With all that went on in my childhood, it never deterred me from wanting to be a mom someday. I went to a private Christian school with my siblings and it was there that I met the man who would become my husband and the father of our two beautiful children. 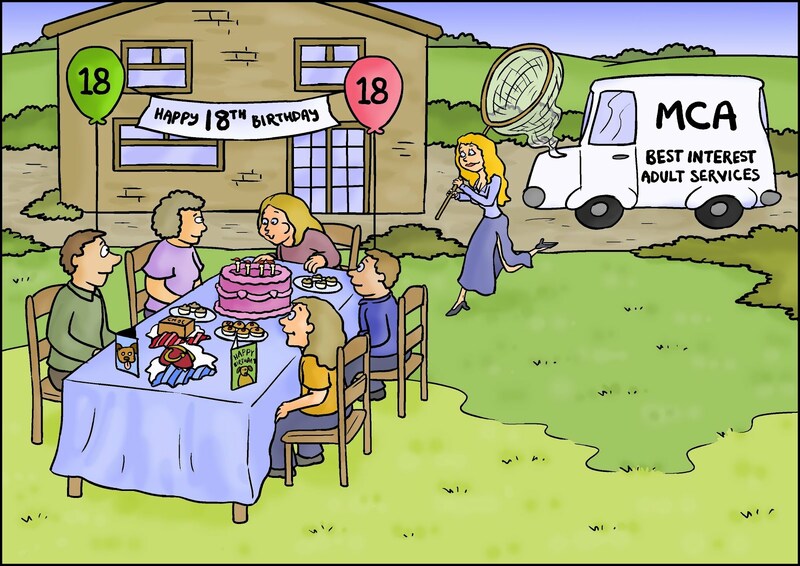 I was eighteen years old, and thinking back on that now, I was still a child when I married. M. How did you feel about having children and did you want to start a family straight away? We talked about having children, but wanted to wait a couple of years into our marriage. I was adamant about only wanting TWO. My husband coming from a family of nine boys, claimed he wanted SEVEN...well, I explained I would have two and he could have the other five. Therefore, we had two children. When my daughter, Amber was born on December 25th 1994, everything went smoothly. 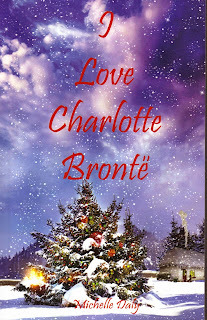 Her delivery, her life, she was just a perfect baby, and who could have asked for anything more on Christmas Day? I never thought life could get any better. I wanted another child a couple of years later, but my husband and I could not agree when the right time was...so when I became pregnant with my second child, it was a welcomed surprise. M. Please tell us about when your son was born? My baby’s delivery in 1998, was very complicated. He was 8 lbs.5 ozs and he was born breech. He came out backwards, and I had a natural delivery, because the doctor claimed he did not have time to perform a C section. My son’s cord was wrapped around his neck and he was not breathing. They lay him on my stomach for just a moment and then took him over to a warming bed and began working on getting him to breathe. The nurse yelled for the doctor to call for respiratory and he called them and the nurse yelled STAT, and the doctor said, “Oh yeah, STAT.” If I could have gotten out of bed at that moment and slapped the doc I would have, and I would have gone to my son’s side. When respiratory got to the room, they were still having trouble getting my baby to breathe, so they took him to another room to work on him. I was terrified. My husband tried to keep my calm, but we both knew something was terribly wrong!! While the doctor was stitching me up, my husband went to see how things were going with our son. He was looking through the window of the room where they were working on him and one of the nurses closed the curtain. My husband heard one of the nurses say “You didn’t need to do that, he has already seen the worst of it.” It took a while for them to stabilise my baby. It was during that time that another nurse came into the delivery room and asked if I wanted to know my son’s weight and I said “20 lbs.” She laughed and said, “No, 8 lbs 12 and-a-half ounces.” I said, “Hey, when you have a baby come out the way my son did, I don’t care what your scales say, he was 20 lbs.” At least I still had a sense of humour. We named him Johnny. M. Being separated from your baby when he is born must have been very traumatic? It was. When our little boy was finally stable enough, I was put into a wheelchair and was able to go see him. He looked so big, so swollen and I felt so helpless. I wanted so badly to hold him in my arms and was not allowed to. I sat and held his tiny little hand and talked to him, telling him how much I loved him. We were told that Johnny would be transferred to a hospital in the city nearby because there was no NICU (Neonatal Intensive Care Unit) in our little hospital. We were told that our baby had fluid in his lungs since he came out backwards and would probably be in the NICU for 72 hours and then we would be able to take him home. That was not to be the case. M. How much info did the doctors share with you and was there a prognosis? We were not really told much in the beginning. 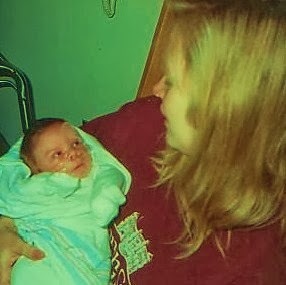 Johnny was in the NICU at that hospital for two weeks and then was transferred to Riley Hospital for Children in Indianapolis, Indiana. No one could-or would-explain to us why our son was not wiggly like other babies and why he never made a sound, such as crying, like most babies did. We were told, however, that his brain had not formed right and that he would adapt as he grew older, and he would be slow but would have a pretty normal life. We found out that was also not to be the case. 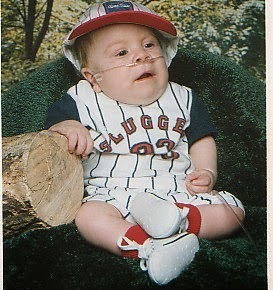 When my baby was 3 weeks old he had surgery to have a g tube, because he was aspirating on his formula. At 4 weeks old, he was allowed to come home. M. So here you are at home with a baby you instantly love and accept, though never expected to be so poorly. Overnight you became a mother, nurse, physiotherapist and teacher – how did you cope spreading yourself so thin? We thought things would start getting back to normal, but we were to find out soon that our normal was going to be totally different than what we expected. Our baby wasn’t even three months old when he had trouble breathing and was taken back to Riley Hospital where the doctors told us his airway tissue was floppy, so they performed surgery on one side, removing the floppy tissue and he was put on oxygen and sent home. So we learned how to care for our son, now with a g-tube and with oxygen. At six months old, he stopped breathing and was returned to Riley where they decided to do surgery on the other side of his throat, due to the floppy tissue obstructing his breathing, and they increased his oxygen. We got to go home and prayed that everything would finally be fine. Life was good in between hospital stays. We were adjusting to Johnny’s needs and his sister, who was four at this time, was bonding with her ‘buby’ and was very protective of him. At ten month’s old whilst visiting my mother-in-law’s home, he quit breathing. We called 911 and an officer arrived and did CPR until an ambulance got there. (This officer received a medal for saving our child’s life) We followed the ambulance to the hospital and were able to see our little boy for a moment. We were asked to leave as they were working on him and someone would come out and give us updates. I was raised in church and prayed every day of my life, but suddenly I wasn’t sure how to pray for my son!! I just wanted...NEEDED...him to be ok!!! It was touch and go for awhile. I was so upset and so was my husband. My young daughter was with her aunt, who was trying to keep her calm and let her know everything would be ok.
Another time our son was having trouble breathing, so they had to put in a trach. He was still having trouble keeping his lungs inflated, so they added a CPAP (Continuous Positive Airway Pressure) to his trach. I was so nervous learning how to do his trach care and make sure the machine was outing out the correct amount of pressure and oxygen, but after a while, it became second nature. 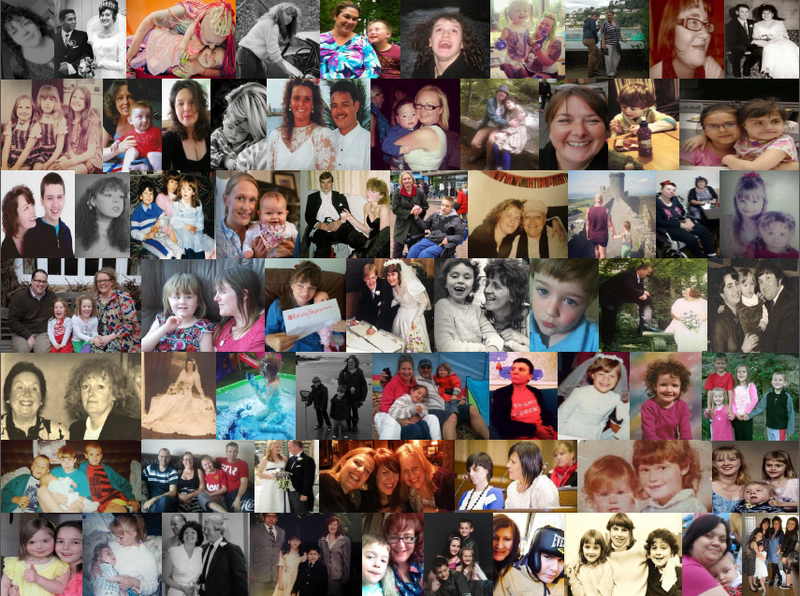 M. Parents often say they are torn between their children when one is seriously ill. How difficult was that for you? We were at Riley Hospital almost two months, trying to travel between there and back home to spend time with our daughter. She was so distraught, thinking we were leaving her and living somewhere else and was sick all of the time. We brought her to the hospital when we could so she could be with her baby brother. Those moments, with the two of them together, are forever precious to me. The nurses all fussed over Amber, bringing her pudding, jello, ice cream...they spoiled her, and she enjoyed every moment. But mostly I think she was just happy that we were all together. M. How did the lack of privacy affect you with people popping in and out of your house all the time? When Johnny was discharged it was December 6th. 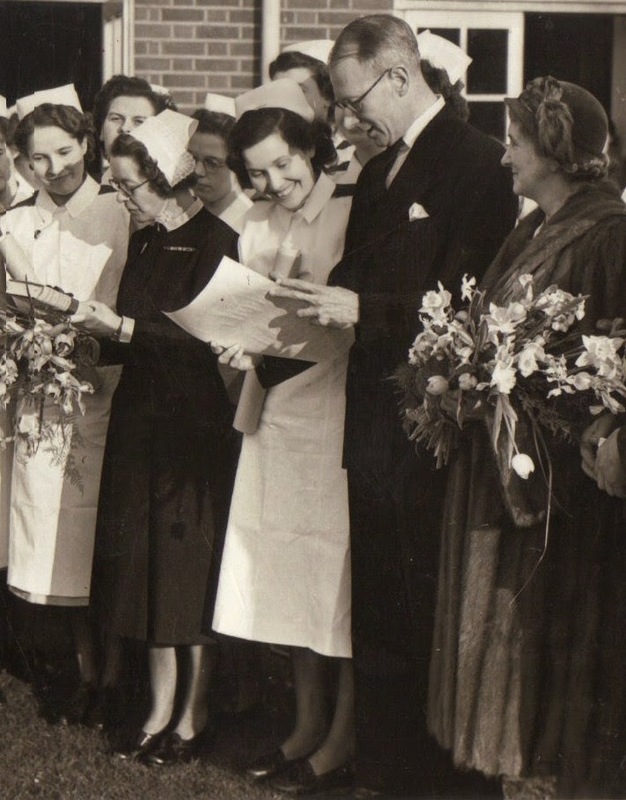 We were going to have to adjust to having home health nurses in our homes twelve hours each day. We were also told that Johnny would not make it to his first birthday in January and may not even make it to Christmas...so we decided not to worry about starting our son back in therapy. When Johnny was a year and a half, he was doing so well, we started him back on therapy...physical, occupational and speech. So we had to adjust to nurses, therapists, case workers...there were so many people coming in and out of our home, it was sometimes overwhelming. Amber was always protective of her baby brother so she would watch the nurses like a hawk. Haha, my little girl had no problem letting us know if the nurses didn’t wash their hands! We even took to hanging hand-washing reminders in the bathroom. It is sad that we had to do that. 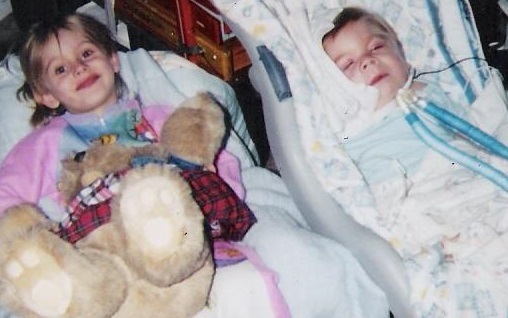 Amber would ask the nurses anxiously, “What are you doing with my baby brother?” She wanted to know everything that was going on and we were honest with her about everything that was happening. M. Did your perspective on life change with the knowledge you could lose your son at any time? Life takes on new meaning when you are told you will lose your child. Every moment becomes that much more special and you try to memorize every second your family is whole. When you have a child with special needs your dreams for that child change. When my daughter was born healthy, I had big dreams for her and told her every day she could be whatever she wanted to be. Her future was bright and she was such a smart child. When my son was born, I had dreams of him playing baseball, of playing catch with him in the yard...that was not to be. I had to grieve the idea of a typical boy and adjust to a new way of life and to the fact that my child would not live for many years. One of the worst things was having to sit my little girl down to tell her what the doctors said about her little brother not being with us for long. I remember how she buried her head in her daddy’s shoulder and sobbed and how we all sat holding each other, crying and wondering how we would ever be able to handle losing such a precious part of our lives. I prayed to God, “Please let my son see his first Christmas.” Because that first Christmas would be his big sister’s 5th birthday and I wanted it to be a special day for both of them. He was very small and at the age of seven, he was wearing clothes for a much younger child. 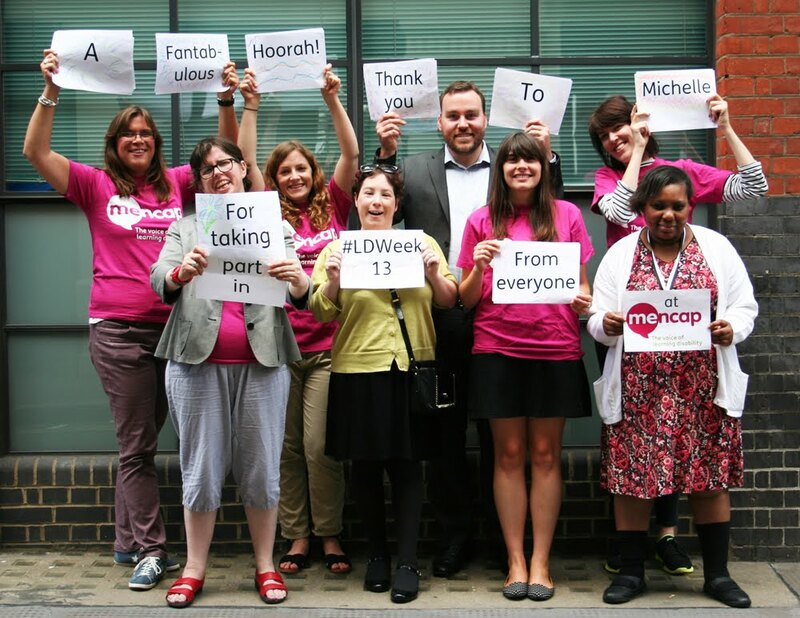 M. So, this mum of a special needs child puts on a brave face to the world – how did the world react? But we appreciated the people, and especially the children, who were truly interested in Johnny and asked questions respectfully. I was often frustrated by parent’s reactions when their children would ask about our little boy and the parents would pull them away telling them they shouldn’t ask questions. I would tell these parents that it was quite alright for their children to ask questions. I mean, how else will they learn about children or other people who are a bit different than they are? How will they learn to accept people who are different if they can’t express their curiosity? It was because of my son that I started thinking of disabled people as “differently-abled” Johnny was not able to communicate through speech or signing but communicated through expression and sounds: differently-abled to express himself. I believe because we were blessed to be Johnny’s family, it made us all more accepting of people who are different and made us more sensitive and compassionate people. I could not have asked to be blessed with more than that. M. Would you please tell us about when Johnny died? After our son’s traumatic year, things started getting better. We had clinic appointments every two to three months, and whenever he would appear unwell, we would get him to his doctor immediately and get him on antibiotics. He was even able to be off his CPAP during the day for over a year! Then, when he was eight years-old he started slowing down. He needed his CPAP all of the time. He was back to being in the hospital every 3 months that year. I felt that 2006 mirrored his first year. He would be in the hospital for five days, on antibiotics and extra breathing treatments, then, he would be home. So in November that year when my little Johnny got sick, I assured my family that after five days in the hospital, he would be home. On November 8th, family came to visit him. My poor boy had had a rough night, his respirations being 6 breaths per minute, but seemed better that day. I turned the light on over his bed, and usually he would flinch, but he didn’t react and that struck me as odd. Family left and we watched movies in our son’s room, his Daddy, Amber and I, and then we went to bed. Early the next morning a young nure woke me up and told me my son was having trouble, and I went to his side. I touched his head and talked to him, asking what was going on. My husband and daughter woke up and came over to join us. The respiratory therapist said my son’s lungs were getting stiff, it was harder to imbue him (a bag to help him breathe). I knew that time had come. We went out into the corridor and looked at each other sadly. Then, the nurse appeared and said our son’s heart-rate was dropping, so we went back to his side. They stabilised him and we went back out into the corridor again. We had decisions to make. It was with heavy hearts that we decided it was time to let go. It was the hardest decision of my entire life!! We returned to my son’s room and asked everyone to just leave him be. The doctor came in and said “He’s got that look. He won’t be here much longer.” She told me I could get into bed and hold him if I wanted to. I did. 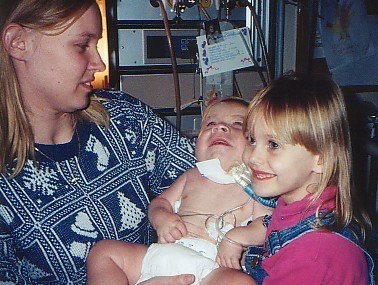 I held him in my arms and his Daddy and ‘big’ sister were at his side when he died. Just before Johnny passed away, he let out a beautiful, peaceful coo and I said “I would love to be seeing what he is seeing now, because it must be beautiful for him to make a sound like that.” He was two months shy of his 9th birthday. It was such an awful sad day. The fact that we always knew our son was living on borrowed time and wouldn’t be with us forever, didn’t make it any easier. And my poor daughter who was about to become a teen, had just lost her little brother. So at the age of 33, my husband and I were arranging out son’s funeral – and my life would never be the same again. M. Jenn, I met you just after your Johnny died and I remember you telling me that you were playing the ‘sound’ machine at home and me, being the inquisitive person that I am, asked you what it was. Your answer brought tears to my eyes. Would you care to share it? 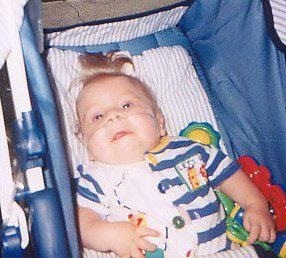 My little boy had to be on a CPAP machine 24/7 for awhile. It was attached to his trach. We grew so used to the noise, because of the compressor and oxygen always running. When Johnny passed away, the house was so very quiet...the silence was deafening. I had a very hard time being alone in the house without the stereo or tv going, because I missed the noise of my son’s machines, and the absence of the noise was a constant reminder of the heartache we suffered. Nights were the worst, because it was so quiet. The silence was unbearable. I had wanted to get a Sound Machine for awhile, because it is so calming....ocean waves, steady rain, thunder....but wanted one even more so after my son died. The following Christmas, a dear friend of mine sent me one. It helped the nights not be so quiet...it helped me finally be able to rest. M. So please tell us about your life today. Six years after my son’s passing, my marriage was on the verge of collapse. Life is hard when a marriage breaks up, especially when you’ve been together as long and been through as much as my husband and I had. I was strong for so long, however, the impending doom of my marriage was too much to bear; I fell apart and had a nervous breakdown. I've spent time in a psychiatric hospital and when I recovered, if ‘recovered’ is the right word, I ended up living in and out of homeless shelters. I had no ‘career’ to step back into in order to provide for myself. I was lost. After months of trying to come to terms with my situation, I finally found the strength to get back on my feet and trained as a ‘Certified Nurse’ Aide’. I am now working at a wonderful health care facility caring for senior citizens and people with varying disabilities. I often wonder if I would have picked this career if we had not been blessed with our ‘special’ little boy. I am not sure if caring for people is something I was born to do, but my son definitely led me in this direction. Because of all that I learned caring for him, I am able to put that knowledge and experience into the care I give to others. 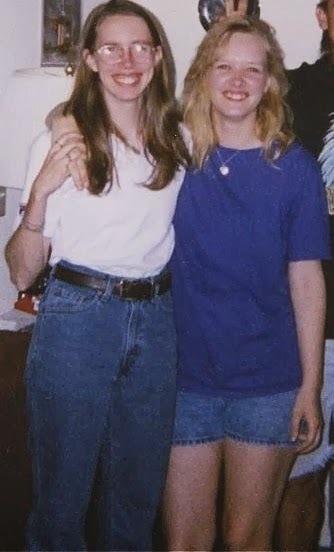 Some nights when I’m lying in bed at the homeless shelter I wonder if it was all a dream – and then I think of my angel in heaven and I’m reminded of the huge losses in my life. So now I try to focus on moving forward, to finding a home of my own, true love and living life again. M. Thank you Jenn for sharing your story with so many people. You're so brave and I really wish you well. Heatbreaking story....my heart breaks for you Jen but Oh what a lucky little boy your son was to have been born to a mummy like you. Such love! Thank you, Kimmie. I feel so blessed to have been chosen by God to be his Mom. I would not be the person I am today if I had not had such a special angel in my life. Thank you, Wendy. I could not have gotten through this journey without the love and support of many family and friends and my faith in God. I never felt alone on my journey and through having this experience I met other wonderful mom's and dad's of special needs children. 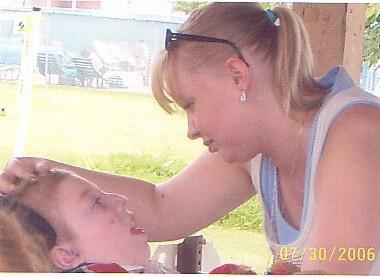 All of our special children touch lives in ways we never thought possible. Thank you, Sophie. The only thing I ever wanted in my life was to be a Mom. I am blessed. My admiration to you! _ You are quite a 'mum' in the way you are handling very difficult situations. Thank you, David. I credit my family and friends for getting us through the hard times..but also am so blessed by the very many good times. 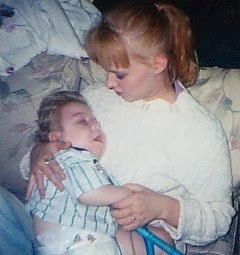 I love you aunt jenny<3 Johnny was the most perfect little boy ever. Im so glad that I can call you,johnny, amber and uncle matt family and that I have got to be so close to you guys. Im glad that you have put your story out there about johnny so they know how sweet he was. I love you too, Nicole. I am so happy you are my niece. Thank you for always being there for me. I am blessed to be your Aunt. Johnny has wonderful cousins. I am sure he is watching over all of us and I hope we made him proud by telling his story. He is always with you, Sweetie. Thank you for being a wonderful sister to him. Thank you all so much for your wonderful comments. I feel I am the lucky one for being blessed with such wonderful children. That God chose our family to love such a special angel is such a blessing to all of us. I also want to say that it is my faith in God and the love and support of many of my friends and family that got me through this journey. Thank you for telling your heartbreaking story with such love.